Finding a place to charge your phone or tablet when you’re away from home often involves ducking into a café or carrying a supplementary battery around with you. 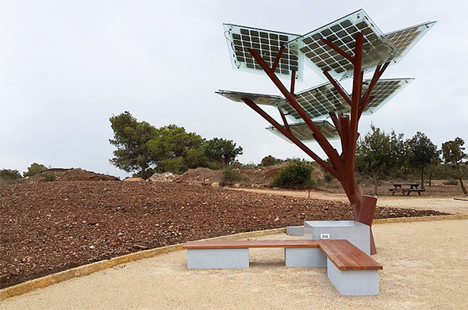 Israeli company Sologic created a truly lovely way to capture natural solar energy and provide free charging stations to the public. 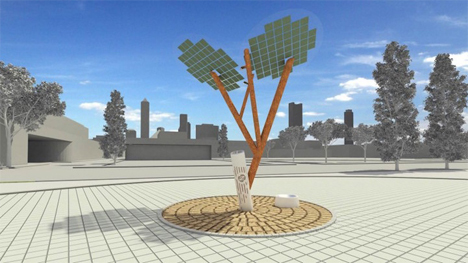 The chargers are called eTrees because they look like high-tech futuristic trees. Their “leaves” are solar panels which are always grabbing energy from the sun. Their trunks are brown to simulate the look of real trees. 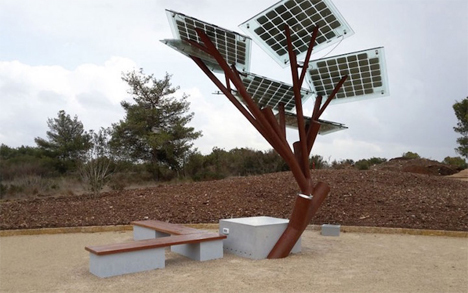 The first eTree was installed in a nature reserve in Israel. At its base are USB ports for charging gadgets and benches for taking a few minutes to relax. A small amount of lighting beneath the tree provides a bit of illumination for finding the charging ports. 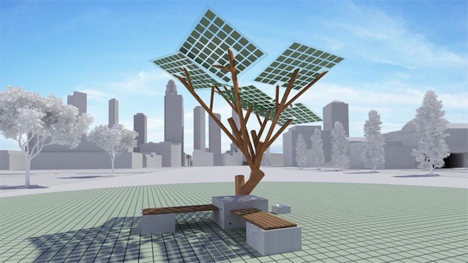 Sologic sees the eTree as a public sculpture that promotes the use of sustainable energy. Its ready availability to the public is a great resource that is not only useful but helps cut down, however slightly, on the amount of non-renewable energy used to charge mobile gadgets every day.